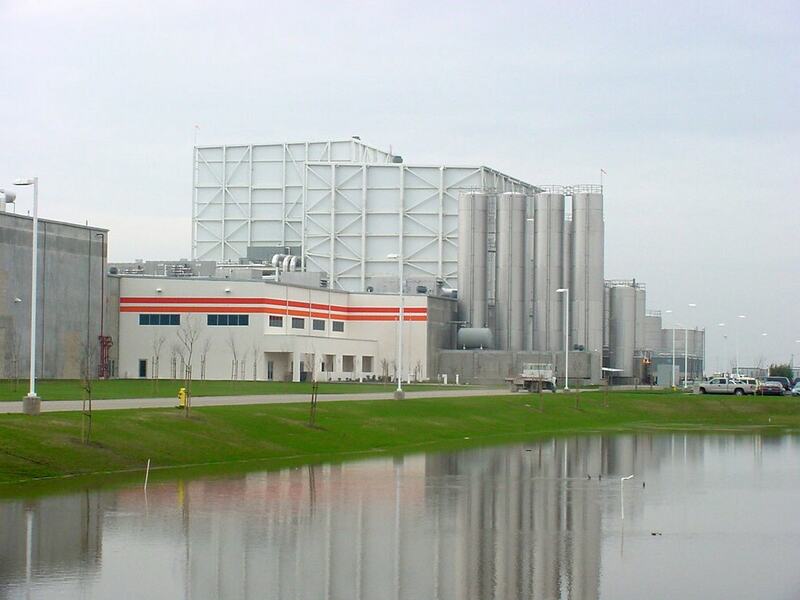 The Lemoore West Production Plant is the size of 11 football fields and contains over 640,000 sq ft of cheese-making capability. Leprino selected Big-D Construction to provide site development and building construction for their new state-of-the-art mozzarella processing and distribution plant in Lemoore, California. The new plant, known as Lemoore West, is approximately one mile from their existing plant. The 750,000-square-foot Lemoore West plant is designed to receive and process 6 million pounds of “Grade A” milk per day into approximately 600,000 pounds of mozzarella cheese and value-added whey products at initial operations. Site work on the 61-acre site included grading, site utilities, facility roads, fencing, an on-site process wastewater treatment plant and off-site street development and included the piping of process waste to and from the existing Leprino plant and also to an off-site city treatment plant. Areas of the building included milk receiving, refrigeration engine rooms, cheese processing, cheese making, cold storage and whey processing areas, whey evaporator/dryer bin, whey warehouse, offices and storage. 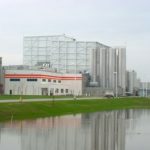 Construction materials included concrete footings and foundations and concrete tilt-up exterior walls throughout the plant. A unique feature of the facility is the “utilidor,” a two-story corridor throughout the plant housing all utility and process pipe main runs. The process areas feature a suspended walk-on ceiling constructed of insulated metal panels, directly accessible from the utilidor for maintenance from the second level.